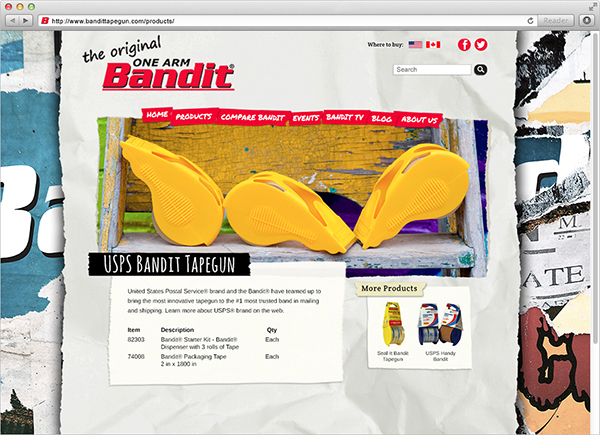 The Bandit tape gun is designed to allow users to use tape single-handedly. And the more tape dispensers are sold, the more likely people will consume tape. But how to make a relatively plain product attractive, especially with a younger target market? 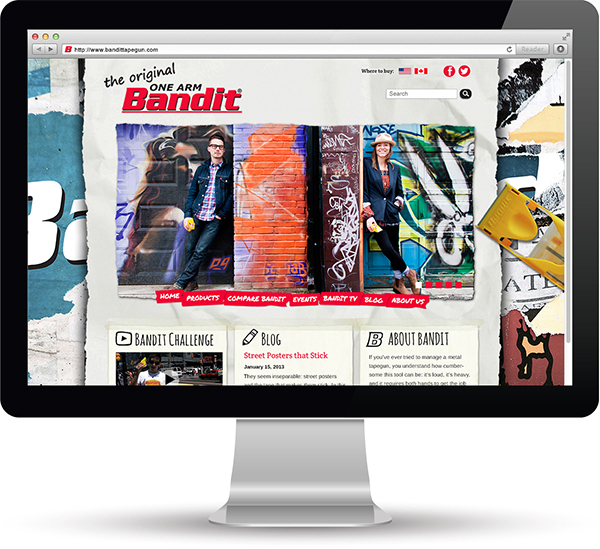 We built an urban and easy-to-navigate website that repositioned the bandit tape gun as a product that resonates with today’s life style. 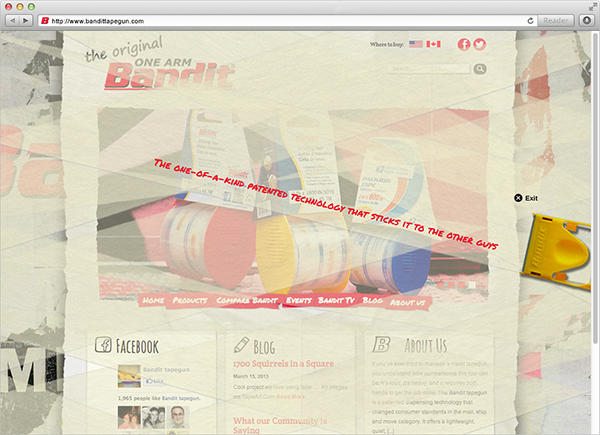 We gave a rebellious, out-of-the-box look to the website with Graffiti and strong Social Media interconnections, including a blog.